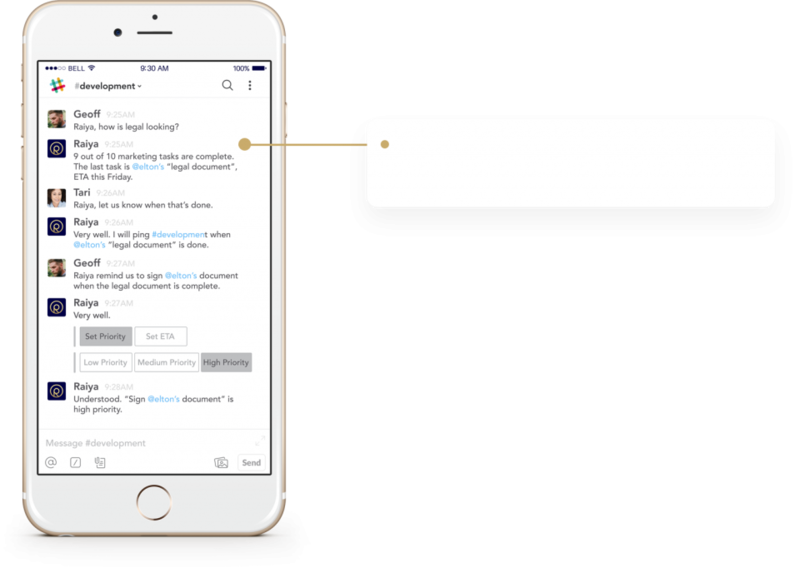 RAIYA is the only digital colleague that harnesses the power of AI, uses natural language, and is built exclusively for the messaging platform companies are already using– Slack. Unlike traditional personal assistants which only work with one person, Raiya helps everyone plan and remember things together. Prioritize and schedule your tasks. Automatically report your project status to your team. Monitor tasks on your project’s critical path. 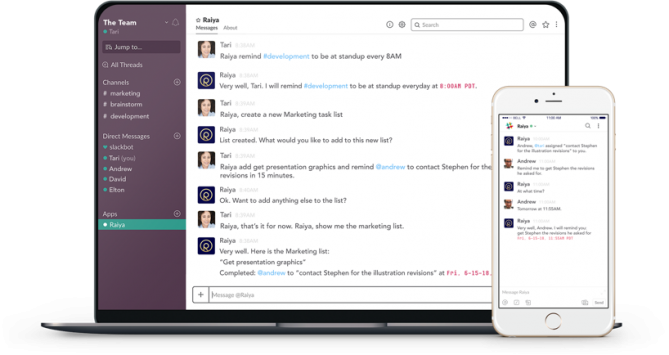 It all happens in Slack: No usernames, no passwords, no wait time – simply log in via Slack and start working. Raiya speaks plain English, so there is no software to learn. Just start talking to Raiya! Raiya for Teams is a single workspace for your small to medium-sized company or team.